Hello everyone, I was watching netflix earlier today and got a BSOD and Its done it several times so I figure its about time to solve that but I dont have a clue how to. I also got one when I was using my webcam the other day but I didnt catch the error code. It doesnt happen all the time sometimes I can watch for hours and sometimes only a few minutes before it decides to blue screen. Im running windows 7 64 bit any other system info you might need let me know and thanks for the help, its much appreciated! Beside watching Netflix and using Webcam, is any other program will give the bsod screen? It would be much help if you can pix the bsod screen. Hope that helps, dont really have anyway to post an actual pic of the blue screen. 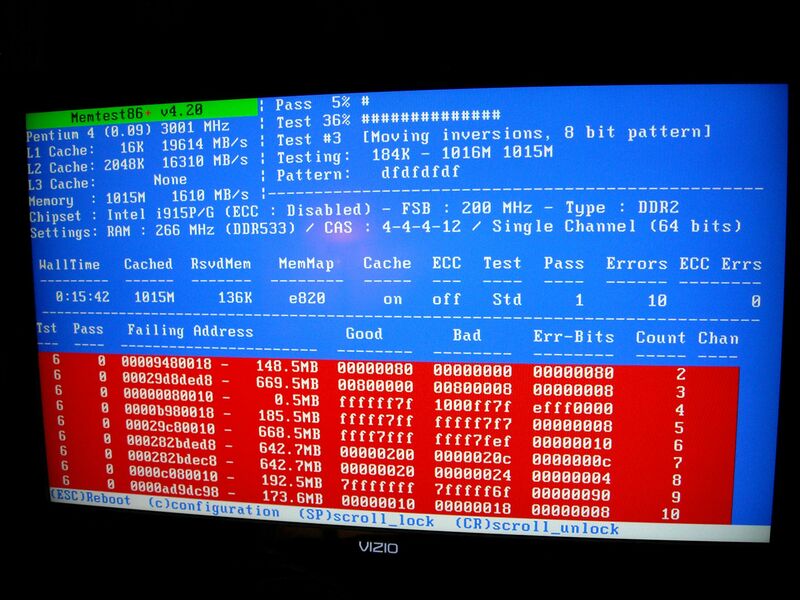 The initial step to diag is run a memtest and hdd test to see if they have any failure. 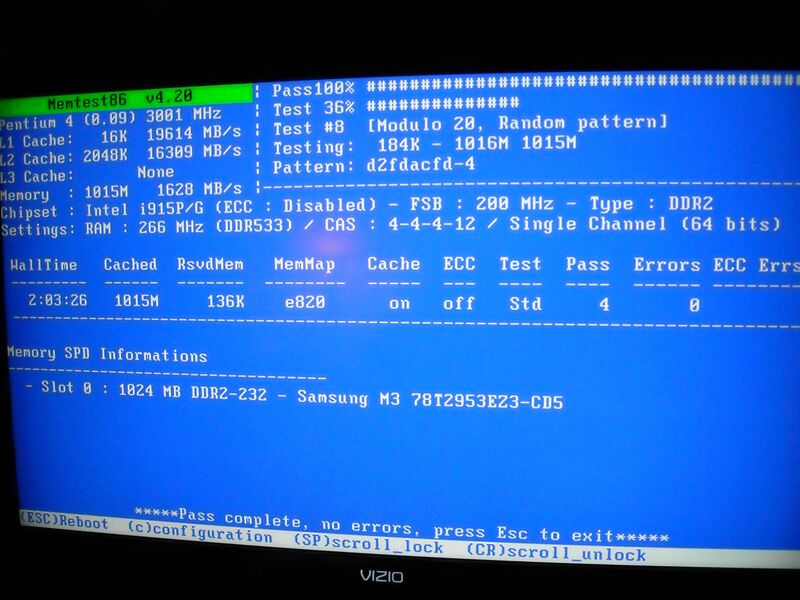 As for the bsod, there's also a error code located on top of the screen. It could also related to drivers issue. Ok so I have not had time to use netflix and see a blue screen again from it but I ran WD hard drive diagnostic program and tested it and it came out just fine. I ran memtest86+ and tested it first with both stick in, then tested each stick individually. Here are the results I took a pic with a digital cam, appears one stick is junk but Ill let you confirm that. Really appreciate your time by the way! 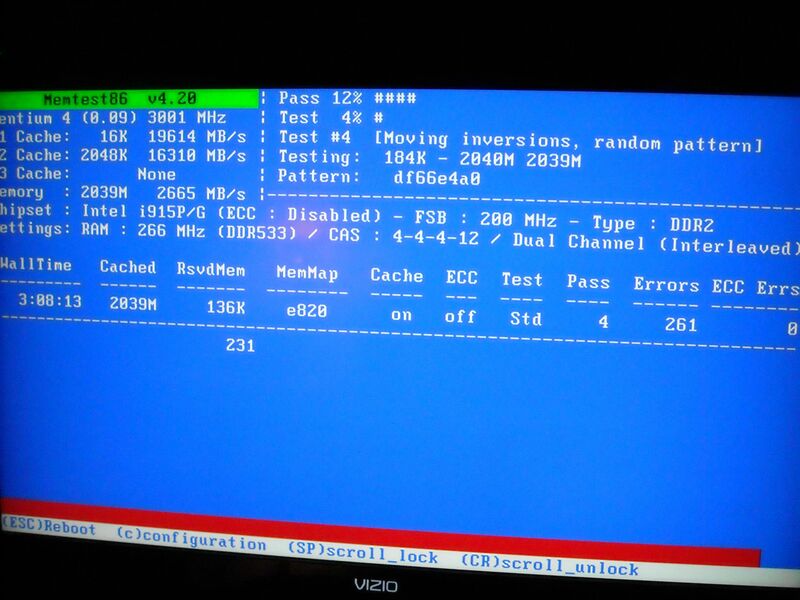 The RAM stick (with red error code) is sure a bad one. Try to run Windows with the good ram stick and see if problem arise. Ok will do, I went ahead and ordered another stick anyway but Ill report back when I find something out. Hey thanks for the help, I put a new ram stick in and everything is running smoothly!